I miss the blue expansive never ending sky. We don't get to see much of that beauty here in Seoul. It kind of feels like you're entrapped in a hazy blue bubble, never the same expansive sky that seems to have no ending. 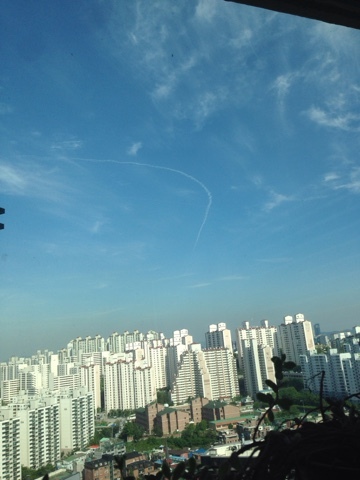 That's the typical sky here in Seoul. With squiggles of white chemtrail of some sort. Blue sky, I miss you.